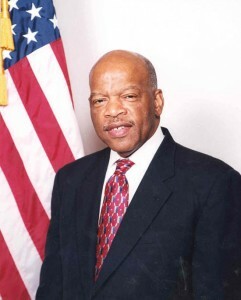 The DeKalb County Board of Education recently voted to name a new elementary school (Pre-K – 5) in honor of Atlanta Congressman John Lewis, 5th District Georgia. The new school will be known as John Robert Lewis Elementary School. This will be the first public school in the nation to bear Representative Lewis’s name. The John Robert Lewis Elementary School will be temporarily located at 2383 North Druid Hills Road, Atlanta, in the former International Student Center, now renovated with state-of-the-art technology and design. The John Robert Lewis Elementary School will relocate when a new replacement school is completed on the Skyland Center property in Brookhaven. Total construction costs are estimated to be about $30 million for the 900-student facility, similar to modern prototype new schools at Fernbank Elementary School and Peachcrest Elementary School. With a projected 2017 enrollment of 394 students, John Robert Lewis Elementary School will play a key role in relieving overcrowding in the Cross Keys High School cluster by receiving students from Montclair Elementary School. “Congressman Lewis’s congressional district covers a significant portion of the DeKalb County School District,” said Dr. Melvin Johnson, chair of the DeKalb County Board of Education. “That makes this a homecoming for a great American.” Board Member Marshall Orson, who represents the area, chaired the naming committee. It included two area principals, staff, parents, students, and representatives of the Latin American Association. The committee discussed naming options and made a final recommendation to the Board.